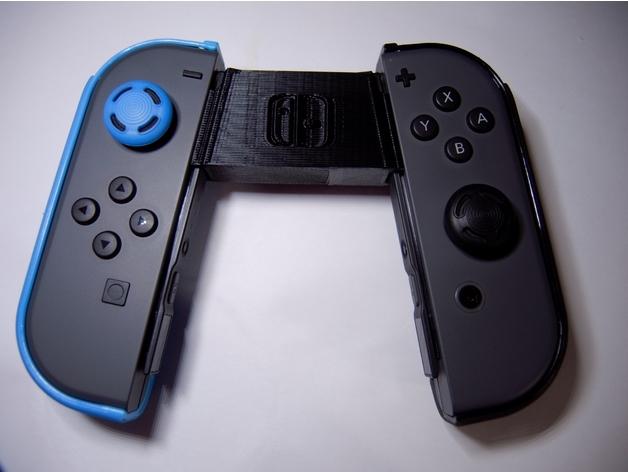 Nintendo Switch JoyCon Small Grip #3DPrinting #3DThursday « Adafruit Industries – Makers, hackers, artists, designers and engineers! Bodacious_Bum shared this project on Thingiverse! I’ve tried several different JoyCon grips on this site and none of them fit. I remixed this one to use the least amount of material possible, but still be sturdy enough. The fit should be snug, without needing too much force to connect the JoyCons. My remix changes include removing the top and bottom of the model and chamfering the edges so that the JoyCon slides on easier.